It&apos;s still summer, damnit! And before the temperature starts to droop, I&apos;ma talk about a summer thing you&apos;ll want to grab now to keep you going until the warmth seeps back in next year. 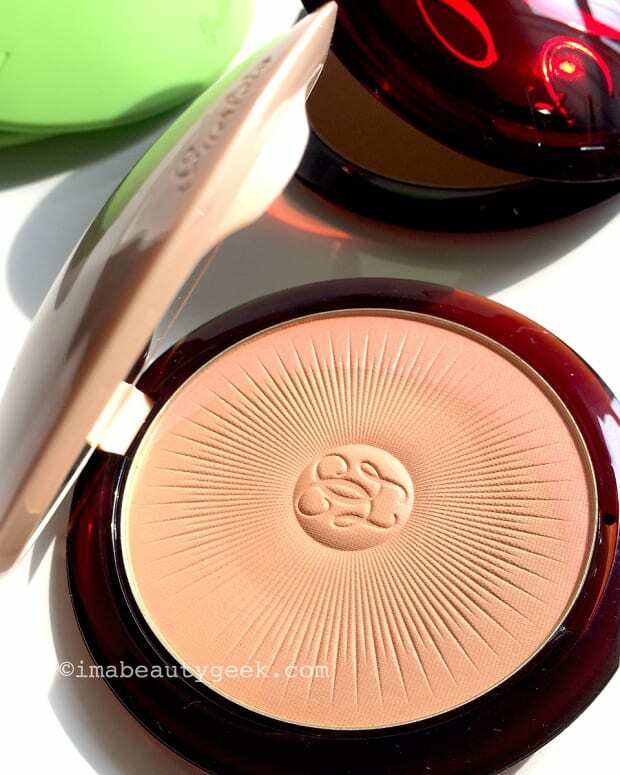 Hello, liquid bronzer. Liquid bronzer or bronzing fluid (sans self-tanner ingredient) presented itself as a renewed little trend this season, popping up from brands like Guerlain, Benefit, The Body Shop, Cover FX and Sephora. 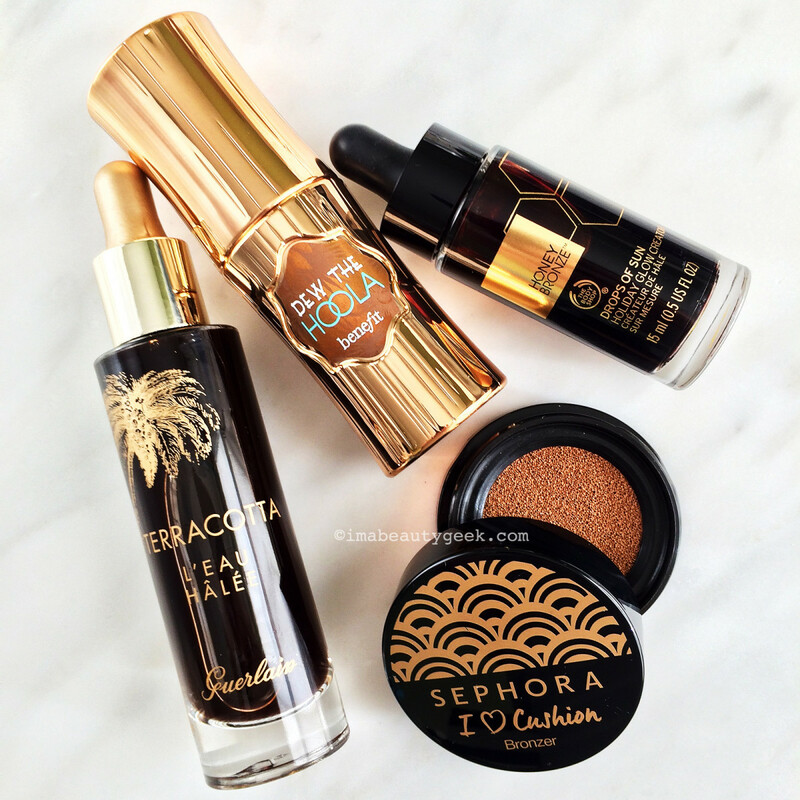 If you haven&apos;t tried a bronzing fluid yet, you must. 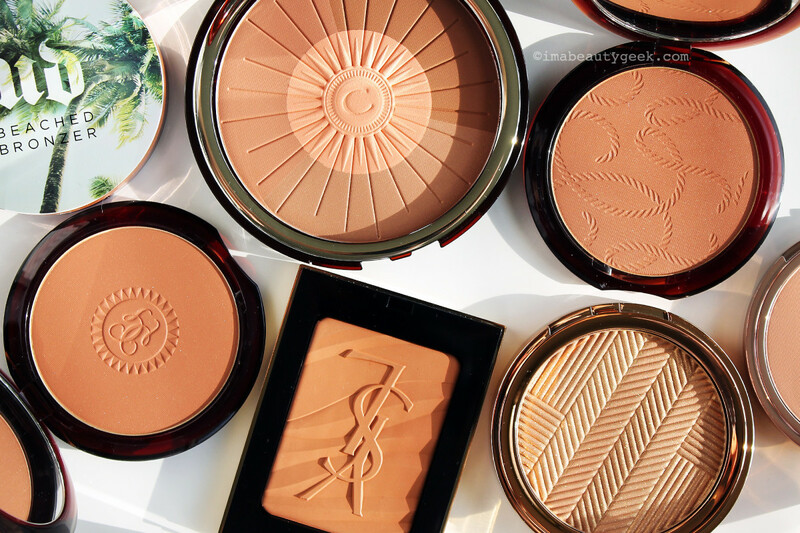 Although I still like a powder format just fine – all the bronzer compacts in the above image have great texture and natural-looking colour – liquid bronzer is going to be my bag this Fall, winter and into Spring. Why? Because it&apos;s so easy to adjust intensity and the finish is so natural and weightless. Benefit Dew the Hoola ($36 CAd and $28 USd at sephora.com) is a lovely mousse-y liquid texture that goes on smoothly and shine-free. It&apos;s matte, but not flat, and a non-orange shade just like Benefit&apos;s Hoola powder. Dispense a tiny bit on the back of your hand and use a brush or fingertip to blend a little at a time. Of the liquid collection shown here, it&apos;s probably the easiest to use right off... not that the others are that tricky, mind you. Sephora I Heart Cushion Bronzer ($20 CAd and $16 USd at sephora.com) comes with just the slightest bit more learning curve because it&apos;s a cushion format with a wee applicator pad. Good for travel if you want to be makeup-brush-free, I say. Choose from a natural finish or a shimmer finish (I went for natural). Guerlain Terracotta L&apos;Eau Hâlée ($62 CAd at guerlain.com and $54 USd at neimanmarcus.com), The Body Shop Drops of Sun Holiday Creator ($22 CAd at thebodyshop.ca and $20 at thebodyshop-usa.com), and CoverFX Custom Enhancer Drops ($52 CAd and $42 USd at sephora.com) require just a little more explanation before you go putting the liquid straight on your face, but it&apos;s worth it. Although this is a CoverFX video, it&apos;s the same way you&apos;d want to try the liquid from Guerlain and The Body Shop. Add a drop to moisturizer or primer or foundation and blend over the planes of the face wherever the sun would warm. The more drops you add, the more intense your bronze. Easy, right? And the result is so, so natural, like the sun affectionately pecked you on the forehead and both cheeks this morning. If you&apos;re looking for something that doesn&apos;t wash off at the end of the day, try mixing a drop or two of tinted self-tanner with your moisturizer and apply it at your hairline, on the tops of your cheeks and the bridge of your nose. Or apply it in that 3 shape that hits your temples, under cheekbones and along your jawline. Or apply it all over if that&apos;s your way. More than one Beautygeeks reader (thanks, Natasha!) has suggested the Clarins Radiance-Plus Golden Glow Booster ($31 CAd and $30 USd at sephora.com) as the gradual self-tanning additive of choice. The formula is 98% natural and designed to be mixed with your day cream or your night cream, whatever you prefer. I have it now, but haven&apos;t tried it yet myself – my skin&apos;s been a bit cranky lately for some (dehydrated) reason. But it&apos;s on deck! In case you missed them, I&apos;ma include two bronzer tutorial videos below. And maybe you&apos;d like tips from one of JLo&apos;s makeup artists, the one who made the "JLo glow" a thing, on how to wear bronzer in winter. 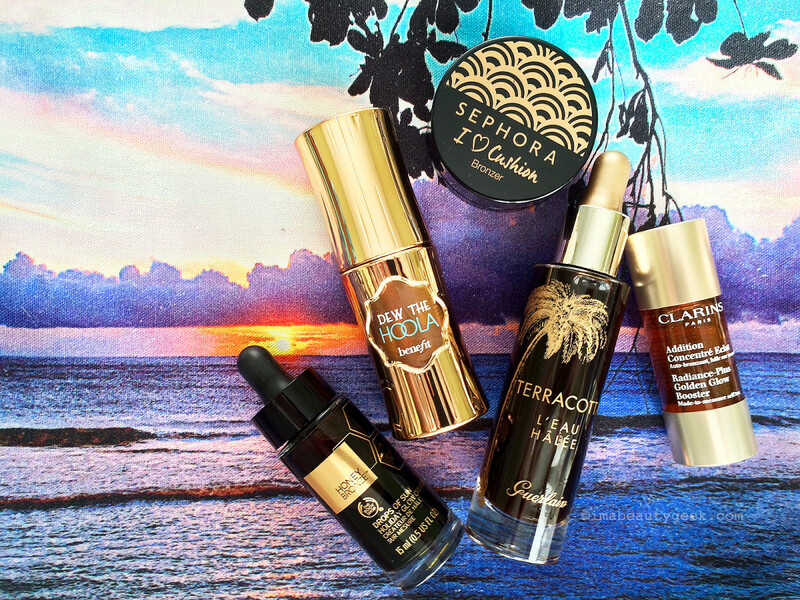 Have you tried one of these liquid bronzers yet? Think you might? 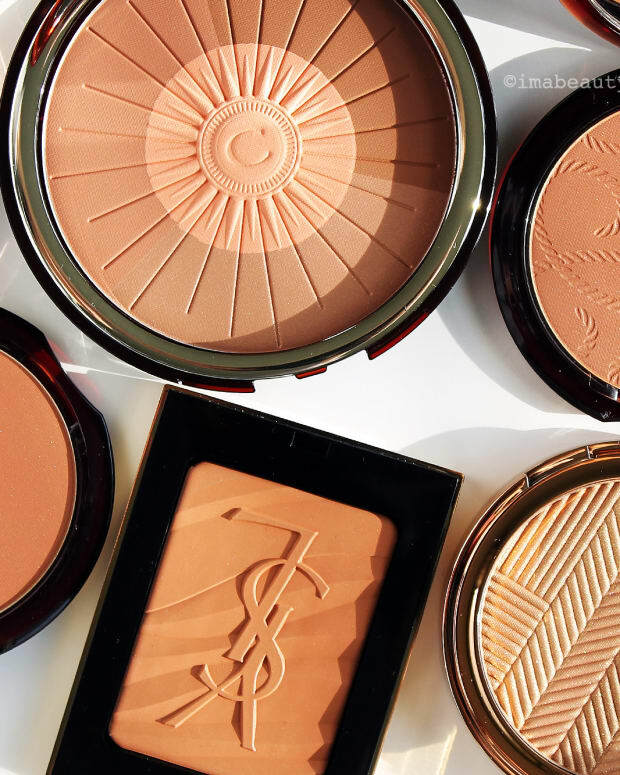 And which bronzer application have you been using these last few weeks?